Newly qualified therapists, in particular, may have limited budgets for CPD and time is at a premium for most of us. Reading books, ebooks and articles are a cost-effective and relatively easy way to meet the requirements for ongoing study. The only drawback is that you don't have a certificate or other 'proof' to add to your portfolio as you do with a course. Our advice is to write a brief review of a book after you have read it, and list the most useful pages or chapters. If you are reading online, keep a list of URLs with brief notes about what each one contains, so you can find that information again easily when you need it. A spreadsheet or notebook would be fine for this, or some professional bodies provide CPD record sheets. Keep these notes with your other records. Not only do they show your professional body you have done more than just buy a book and put it on a shelf, it also allows you to look back and find the information you might need very easily. Our online magazine is free to access and full of articles relevant to your hypnotherapy practice - techniques, client issues, business building and more. If you are a hypnotherapist who struggles to write and adapt scripts so they are personalised and meaningful for your clients, this book is for you. Leading hypnotherapy teacher and practitioner Debbie Waller will show you how to ‘use what the client gives you’ to develop interventions which will give the greatest possibility of success. She will take you step-by-step through the most effective way to organise your information gathering, and then show you by means of examples how to pick out the most appropriate information for your session and use it to help the client achieve their goals. This free YHT ebook will take you step-by-step through this very useful technique, complete with suggested wording, trouble-shooting and flow charts! 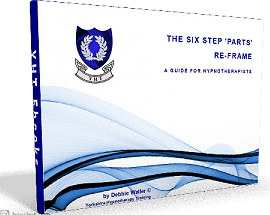 The Hypnotherapy Handbook is an anthology of articles written by experts in the field and aimed at newly qualified or trainee hypnotherapists. It's available in paperback or kindle. Included are topics like business building, self-care, dealing with smokers or anxiety, and a chapter on working with IBS by our Senior Tutor Debbie Waller. Dr Brian Roet says 'I think everything you need to know about IBS and its treatment is in the pages of chapter eight'. If you just want to read the IBS chapter, this ebook contains it on its own. 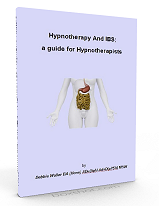 It includes an overview of working with IBS, a suggested programme of sessions and two scripts - the one from the Handbook above plus a bonus script unique to the ebook. To purchase this ebook by Paypal, simply click the title above. The book will be emailed to you when we receive your payment, usually within 24 hours. Our Facebook page will also point you to articles and items of interest. Finally, the books we recommend for our students are listed here and will also be of interest to qualified practitioners. We sometimes have good quality second-hand copies of the books on our reading list, and try to undercut Amazon and eBay prices. Please contact us for details of current stocks and prices.